How much of the brain do we use? Part of the show What shape web does a spider spin in space? Hey there, My name's Martin and I have a question about human brain. How is it with the quapacity of the brain that we use? Because theres this well known fact that we only use like ten percent of it, but I somewhere heard that we use as much of it as it is needed at the moment so it could be according to that like 90 percent for example. But isnt it like that every input is stored somewhere in the brain like every name, every face, every mathematic definition but it is just somewhere in the dark side of the brain library far away from that part that we normaly use? Thank you for your time and answer sincierely. Ginny - Well, the short answer is, no. 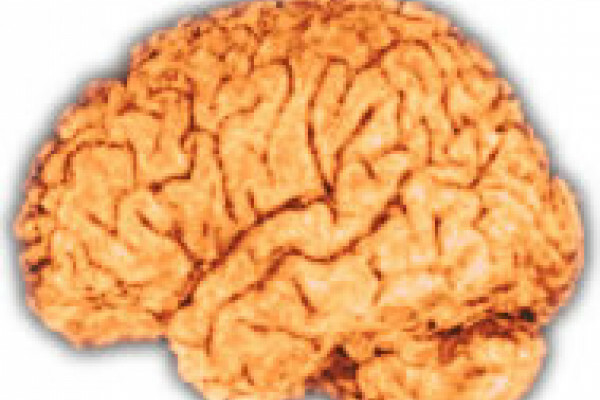 Basically, our brain is a really, really expensive organ. It takes a lot of energy to run a brain and it just wouldn't be evolutionarily sensible to keep expanding all these energy on a brain, if we weren't using most of it. Actually, we tend to see the phrase "use it or lose it" in terms of brain activity in neurons, which basically means that the more you use an area of the brain, the bigger it gets, the stronger it gets, the more neuronal connections you get. And actually, if you stop using that area, it will get taken over by something else that you're using more. Previous Can shampoo increase hair loss? Next Could humans survive on a raw food diet?